Glenn McGrath is heading to Penrith. 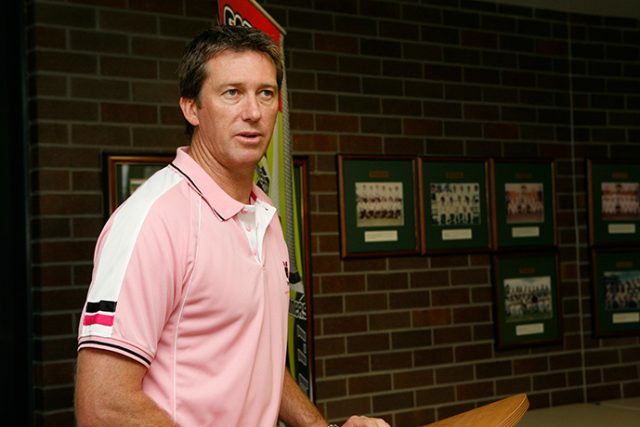 Former Test cricketer and Australian sporting legend Glenn McGrath will headline Penrith Cricket Club’s annual Captain’s Lunch next Friday afternoon. To be held inside the Chairman’s Lounge at Panthers Stadium, the eighth annual Captain’s Lunch will not only raise money for the local cricket club but this year it’ll also raise much-needed funds for the McGrath Foundation. Over the years, the Captain’s Lunch has welcomed an array of cricketing identities including Richie Benaud, Simon Katich, Stuart Clark and Kerry O’Keeffe. Rugby league personalities have also been on the menu including Darryl Brohman and the Mortimer brothers. 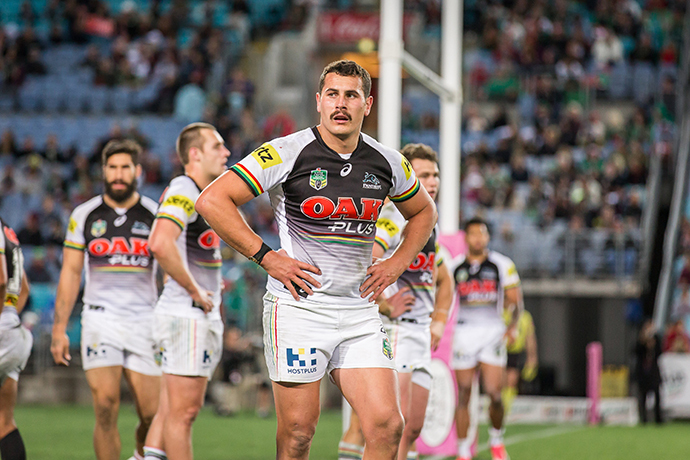 This year is no different, with Penrith Panthers and Kangaroos forward Reagan Campbell-Gillard added to the bill. Speaking with the Weekender, Penrith Cricket Club coach and event organiser Michael Wholohan said the Captain’s Lunch is one of the great days of the sporting year. “The Captain’s Lunch is our major fundraiser for the year. We’ll have raffles, an auction and some memorabilia up for grabs,” he said. Next Friday’s Captain’s Lunch will be McGrath’s first, with Wholohan very much looking forward to having one of the greatest bowlers in history in the room. “We thought being an Ashes year we should try and secure an Ashes legend, and there’s probably no one better than Glenn McGrath himself,” he said. “Glenn has also enjoyed a strong history with Grade cricket. At one stage back in the 1980s, there was a chance Glenn could have played for Penrith but for one reason or another he ended up at Sutherland. Wholohan will also donate a cheque to the McGrath Foundation after he raised money running the New York Marathon. Penrith Cricket Club’s annual Captain’s Lunch will be held inside the Chairman’s Lounge at Panthers Stadium on Friday, February 16 from 12.30pm. Tickets are $145 per person and include a three-course lunch and drinks. To book or for more information, email thecaptainslunch@bigpond.com or call 0419 470 695.